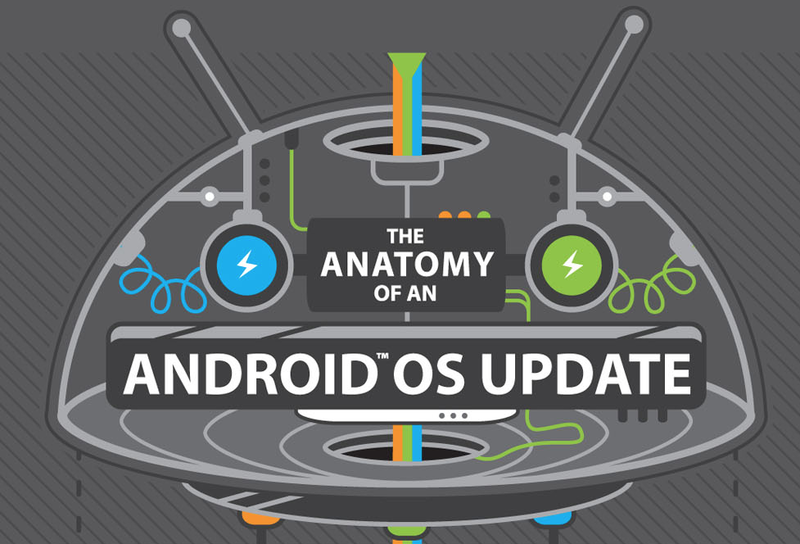 Ever wonder what the entire process of an Android update looks like? How and when do carriers get involved? Who are all of the players? How much quicker or fewer steps are there for developer or Google Play editions? When do manufacturers see the newest version of Android? All of that can be found in a lengthy infographic that HTC posted their Software Updates page, a spot that gives the status on current HTC phones and when they plan to push updates to them. The image takes you on a journey of three different device types: carrier, unlocked/developer, and Google Play edition. You’ll see where an update can get caught up in the system, how much easier it is for HTC to get updates ready for non-carrier phones, and more. According to HTC’s count, Developer/unlocked and Google Play edition devices see 3 and 4 fewer steps through an update life cycle than carrier-tied devices do. Chipset manufacturers have a lot more say in updates than I think any of us ever consider. Should one of them decide that their chipsets won’t work well with a new version of Android, there is a chance that that particular phone is done for good with no new drivers made available. Even though most phone OEMs are making single devices that hit each carrier, there is still a lot of carrier customization done in terms of software that takes time during the process, especially should one not approve an initial build. OEMs are receiving a Platform Developer Kit (PDK), however, they get new Android version source when the rest of us do, which is not until Google makes it available. If you sneak over to HTC’s new status update page, you’ll see how the carrier-tied versions of HTC One are coming along through the process. At this point, HTC would put them in the “Integration” stage which means the update has a ways to go. The “Integration” stage is where HTC works with carriers to decide if any software modifications are needed before implementing them, doing internal testing, letting carriers test, and then hopefully getting final approval for a push. Also, you may want to bookmark that page.